Signs work. They are the most effective and least expensive advertising option for most businesses when you consider cost per customer. In one study, 45% of all new customers found a business because of the primary business sign; word of mouth was about 30% with other media representing the remaining 25%. Though there are many variables that come into play when considering what kind of signs to make the most important consideration is to create signs that reflect the value and quality of your company. 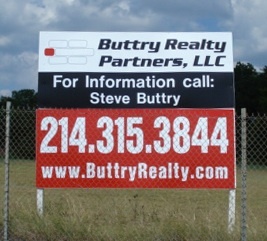 In another study, 55% of potential customers avoided a business that had an old or poorly made sign. 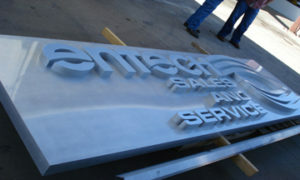 High-quality, well-made signs create a very positive message about your organization. 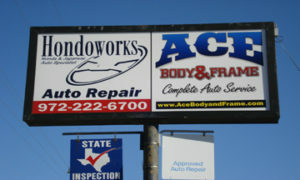 The expectations set by your signs go a long way in getting people to do business with you. Perhaps one of the most important considerations when adding signage to your organization is that once a sign is in place it works 24 hours a day, 7 days per week. This is important when you consider that according to the United States Census Bureau, 18% of households relocate each year. You need to continue to broadcast your message in order to capture these new customers who are moving into your area every year. Thanks to digital printing you are no longer limited to the imagination and skill of the graphic designer. 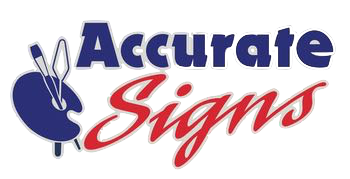 You can give the sign maker a digital file for use in your signage or provide images you found online to help communicate the type of sign that you want. We have a subscription to Big Stock Photo and often tell our customers to look for images on this site that would work for their business. We can then incorporate the image into the overall message. Let us know how we can help you increase the number of customers who find your business.